Could the Golden Globes eclipse the Oscars? 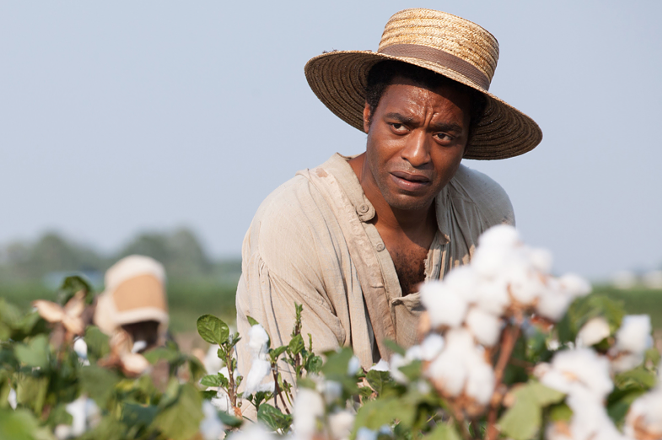 "12 Years a Slave" received seven Golden Globe nominations. Two days before Christmas, and just in time to qualify his latest film, The Wolf of Wall Street for this year's Oscar Awards, director Martin Scorsese hosted a screening for members of the Academy of Motion Picture Arts, the governing organization that has handed out Oscars each year since 1929. Although the film has roundly received critical accolades, members of the Academy had a different reaction: Reportedly, a few in the audience jeered and even walked out, once again, bringing to the forefront the Academy's notoriously prudish and conservative tastes. Over the decades, the Academy has solidly established itself as the premier taste-makers for "best" films, directors and actors, even though the organization itself is simply a self-appointed group of Hollywood insiders—and one that hardly represents America or democratic tastes. "Overwhelmingly white, male," is how a recent Los Angeles Times study described the Academy. The article goes on to explain that the Board which decides who wins which Oscar is more than 90% white, 77% male and only 14% are under age 50—a demographic far different than common moviegoers. Increasingly, that limited perceptive has been blamed for distorting what is really quality and relevant in the industry—like, only four women have ever been nominated for an Oscar for best director, and only Katyryn Bigelow ("Hurt Locker") has ever won. More pressing, this myopic opinion about movie making has opened up an opportunity for the Golden Globes—which air this Sunday—to step in as the premier award ceremony and taste-making body. In spite of existing nearly as long as the Oscars, the Golden Globes (est. 1944) have always been treated as the spinster sister, drawing only half the viewership (40 million compared to 20 million), and considered secondary awards to the coveted Oscar. But that perception and reality may be changing. While the Oscars have struggled like a grandfather trying to appear "hip" by appointing trending hosts—like a disastrously laconic James Franco in 2012 and a mean-spirited Seth MacFarlane last year—the Golden Globes in 2013 landed a winsome team of Tina Fey and Amy Poehler, who have contracted through 2016. Already, that decision has given the Golden Globe traction, increasing viewership last year by 15 percent. Moreover, the Oscars have stuck to their 20th century categories, awarding Oscars strictly for "motion pictures," and treating television as a lesser art. But over the past decade, as the formats for delivery has increasingly migrated from televisions and silver screens to streaming, and as actors have moved more comfortably between the mediums, the dividing line between TV and movies has faded. (Considered, perhaps the year's most acclaimed actor, Matthew McConaughey (Mud, Dallas Buyers' Club), stepping into a TV show this coming year.) The Golden Globes gleefully and equally recognizes both TV shows and movies. On Sunday, the 71st Golden Globes air on ABC (5 pm PST). Some notable nominations: Seven nominations a piece for 12 Years A Slave and American Hustle; her first nomination in 20 years, Julia Louis-Dreyfus for Best Actress ("Veep" and Enough Said); Robert Redford, in a post-retirement, one-man show (Best Actor for All Is Lost); and Michael J. Fox for his comeback role.